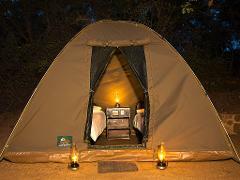 Join our affordable Kruger Safari tour. 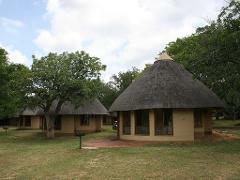 If you stay with us, you get to sleep in huts, complete with twin beds, bedding, aircon and a small fridge. They also have mosquito proofing on the doors and windows, and ablutions are shared . Kruger National Park Safari in Skukuza Camp, the main camp. 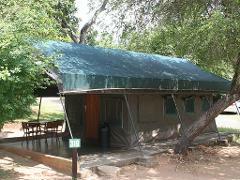 Accommodation in a Safari Tent - Shared Bathroom.